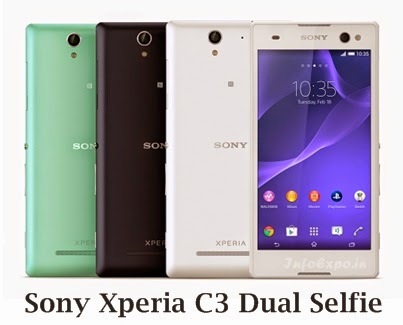 Sony Xperia C3 Dual Selfie is launched with price of Rs.23990, It is also known as C3 selfie. This dvice comes with a 5.5 inch Triluminos display and powered by 1.2GHz qualcomm snapdragon quad core processor. It comes loaded with Android KitKat OS.